It’s been extremely hot this summer and I find that when my kids are inside they get bored and start snacking on things. I try to keep as many healthy snack options available to them as I can but this can get difficult when they want things like popsicles. So I started to brainstorm for easy kid friendly snack ideas that involved fruit. My kids love California Grapes so I decided to see how well these little round balls of sweetness would freeze. I soaked them in water for a few minutes and then placed them on a cookie sheet for about 2 hours and they came out perfect! 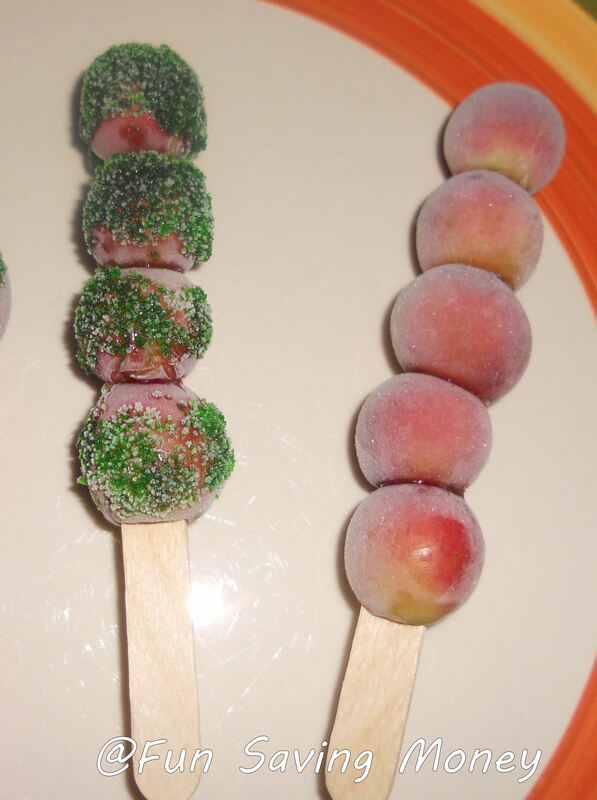 The whole family loved these frozen treats so I decided to think of different ways to make these more like a popcisle you would buy in the store. So I came up with the Sour Grape Popsicle Sticks Recipe and my kids love it! 1. 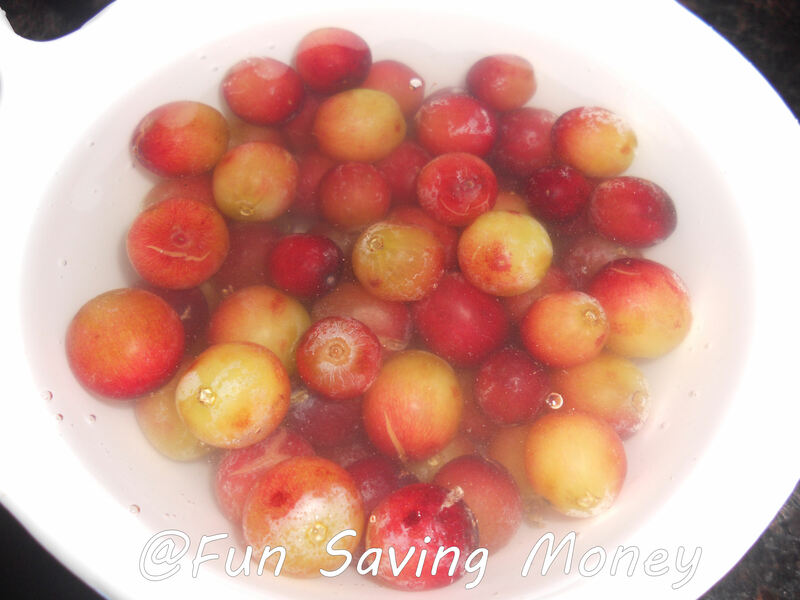 Wash the grapes well and then soak in a bowl of water for a few minutes. 2. While the grapes are soaking mix the packet of koolaid and sugar together on a flat plate. 3. Next place about 4-5 grapes onto a popsicle stick. 4. Roll the grapes over the kool-aid mixture until coated. This is a sour mix so the more you use the more sour it will be. 5. Place on a cookie sheet and freeze for at least 2 hours. 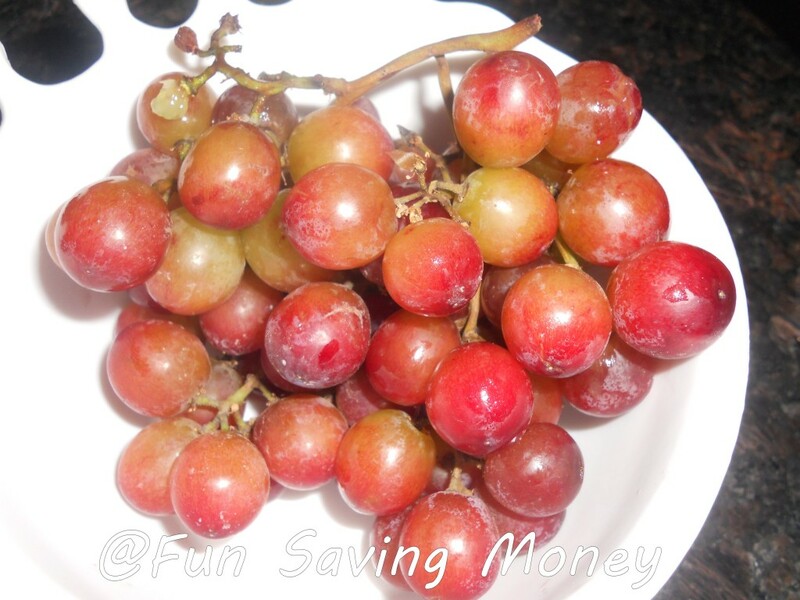 Grapes are a great snack because they are healthy, portable and can be used in a variety of recipes. Try them frozen or check out for more recipe ideas. Disclosure: Thanks to the California Table Grape Commision and Family Review Network for providing me with a cookbook and $10 in order to buy grapes to come up with my snack. All opinions expressed are my own. I love how these turned out…good thinking! I think kids would love them just by looking at them. I love these. What a great treat on hot hot day. My grandchildren would love these. This is one of my favorite snacks!!! I’m going to try these out this week.